British Columbia’s new wills regime, the Wills, Estates and Succession Act (WESA) came into force on March 31, 2014 to revise and replace the outdated Estate Administration Act, Probate Recognition Act, Wills Act, and the Wills Variation Act. WESA is still brand new and many of its provision are still being interpreted for the first time. Recent developments in the jurisprudence have shed some first light on how time limits and service under WESA are applied. (b) a copy of the initiating pleading or petition has been served on the executor of the will no later than 30 days after the expiry of the 180 day period referred to in paragraph (a) unless the court, before or after the expiration of the 30 days, extends the time for service, . . This section provides that the Court has no discretion to hear a wills variation claim brought more than 180 days after probate. Additionally, it provides that a copy of the wills variation claim must be served on the executor no more than 30 days after the 180 day expiry date unless the court extends this time service. The section provides that the court may extend time for service either before or after it expires. Two recent cases, MacLean Estate v. Arsenault, 2016 BCSC 1120 and Rodgers v. Rodgers Estate, 2017 BCSC 518, shed light on the interpretation and application of these sections. The parties reappeared before Master Buock after the pleadings had been amended to once again strike the defendant’s claim. In interpreting section 61, Master Buock stated “there is nothing in WESA that allows the court to extend or suspend the limitation period for commencing a will variation action”. He went on state that “the court is only authorized under S. 61(1)(b) to extend the time for service of the notice of civil claim that commenced the action. Master Buock refused to strike the defendant’s claim on the grounds it was bound to fail as the defendant intended to rely on promissory estoppel at trial, which he stated “must be adjudicated on evidence”. The Maclean case is interesting in that it suggests in certain circumstances a court may hear a wills variation claim brought outside the 180 day period under WESA. “In my opinion, the case and textual authority favours the position that estoppel is available as an argument whenever a limitation period is relied upon regardless of the source. It is admittedly easier to use the estoppel argument where the statute gives the court discretion to extend the limitation period. However, the absence of such statutory jurisdiction in the Wills Variation Act, in my opinion, does not preclude the court from exercising its equitable jurisdiction in considering the remedy of estoppel”. It remains to be seen whether the defendant in MacLean will succeed in advancing this position trial. “1. Was the application brought promptly? Did the defendant have notice of the claim from sources other than the writ? Has the defendant suffered prejudice? 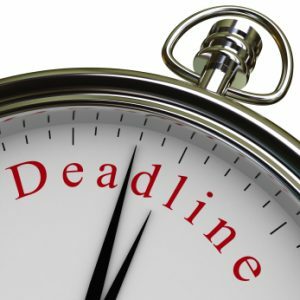 Madam Justice Young found that the 4 month delay was not inordinate for a self-represented litigant and that the delay did not prejudice the estate. However, she found that her wills variation claim had no merit and therefore she would not extend the time for service. Madam Justice Young did state that had the wills variation claim had merit, she would have extend the time for serving the notice of civil claim. The ruling in Rodgers Estate sheds some much needed light on how the court is to exercise discretion in extending the time for service of a wills variation claim. From Rodgers, it seems that where there is no prejudice to the estate the court will generously extend the time limit for service. I do like the manner in which you have presented this particular matter and it does present me personally a lot of fodder for thought. On the other hand, through everything that I have seen, I really trust when the comments pile on that individuals keep on point and in no way start upon a soap box regarding the news du jour. Anyway, thank you for this excellent piece and though I do not necessarily concur with this in totality, I respect your perspective.